A' Design Award and Competition - Profile: Pepe Calderin Design Inc. 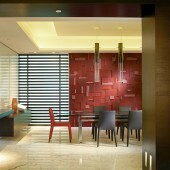 Profile: Pepe Calderin Design Inc.
Home > Designer Profiles > Pepe Calderin Design Inc. This is the public profile of Pepe Calderin Design Inc., Additional information and high-resolution images are available for accredited press members, to access additional information about Pepe Calderin Design Inc. please login as a press member. About Pepe Calderin Design Inc. : I am, that I am. Pepe Claderin is a founder of Design TECHO a group of designers convinced that they can make an impact in the world. The designers who have joined forces to raise funds to build transitional houses and help to promote programs such as school workshops for children and youth, adult literacy, basic skills and job training, support for enterprise development. A space has no boundaries, and has endless possibilities. Best Residential Contemporary Design over 5,000 SQ FT / Curtis Residence, Hollywood, Fl. Best Condominium / Apartment Design over 2,500 SQ FT / Curtis Residence, Hollywood, FL. Best Renovation Residential under 5,000 SQ FT / Doral Residence, Miami FL. 2015, Florida Design, The Magazine for Fine Interior Design & Furnishings, September 2015, Volume 25#3, Cover Story, 400 pages, Pages 222-232, Miami/FL/USA. Awards received by Pepe Calderin Design Inc.
Press Members: Request an exclusive interview with Pepe Calderin Design Inc..